If you heard that a group of people were creating, editing, and maintaining Wikipedia articles related to brands, firms and individuals, you could point out, correctly, that this is the entire point of Wikipedia. It is, after all, the “encyclopaedia that anyone can edit”. For most Wikipedians, the editors and experts who volunteer their time and effort to develop and maintain the world’s largest encyclopaedia for free, this is completely unacceptable. However, what the group was doing was not illegal — although it is prohibited by Wikipedia’s policies — and as it’s extremely hard to detect it’s difficult to stamp out entirely. Conflicts of interest in those editing articles has been part of Wikipedia from the beginning. In the early days, a few of the editors making the most contributions wanted a personal Wikipedia entry, at least as a reward for their contribution to the project. Of course, most of these were promptly deleted by the rest of the community for not meeting the notability criteria. 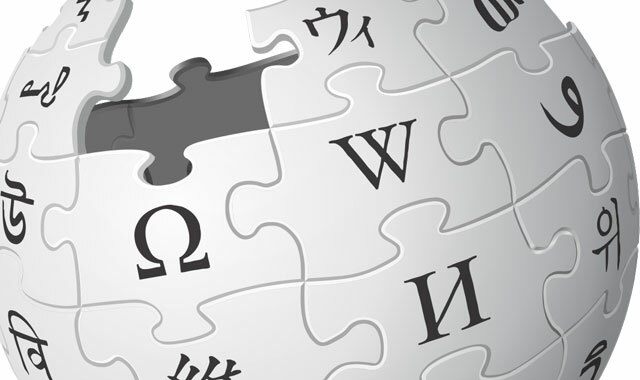 As Wikipedia grew and became the number one source of free-to-access information about everything, so Wikipedia entries rose up search engines rankings. Being well represented on Wikipedia became important for any nation, organisation, firm, political party, entrepreneur, musician and scientist. Wikipedians have strived to prohibit self-serving editing, due to the inherent bias that this would introduce. At the same time, “organised” problematic editing developed despite their best efforts. The first time I learnt of non-Wikipedians taking an organised approach to editing articles, I was attending a lecture by an “online reputation manager” in 2012. I didn’t know of her, so I pulled up her Wikipedia entry. It was readily apparent that the article was filled with only positive things. So I did a bit of research about the individual and edited the article to try and introduce a more neutral point of view: softened language, added references and  tags where I couldn’t find reference material to back up an important statement. Online reputation managers and PR firms charge celebrities and “important” people to, among other things, groom Wikipedia pages and fool search engines to push less favourable search results further down the page when their name is searched for. And they get caught doing it, again and again and again. It is not that paid-for or biased editing is so problematic in itself, but the value that many associate with the information found in Wikipedia entries. For example, in academia, professors with Wikipedia entries might be considered more important than those without. Our own research has shown that scholars with Wikipedia articles have no greater statistically significant scientific impact than those without. So why do some appear on Wikipedia while others do not? The reason is clear: because many of those entries are written by themselves or their students or colleagues. It’s important that this aspect of Wikipedia should be communicated to those reading it, and remembered every single time you’re using it. The arrival of “citation needed” tags is a good way to alert readers to the potential for statements to be unsafe, unsupported or flat-out wrong. But these days Google has incorporated Wikipedia articles into its search results, so that an infobox at the right side of the results page will display the information — having first stripped such tags out, presenting it as referenced and reliable information. Apart from self-editing that displays obvious bias, we know that Wikipedia, however amazing it is, has other shortcomings. Comparing Wikipedia’s different language versions to see the topics they find controversial reveals the attitudes and obsessions of writers from different nations. For example, English Wikipedia is obsessed with global warming, George W Bush and the World Wrestling Federation, the German language site by Croatia and Scientology, Spanish by Chile, and French by Ségolène Royal, homosexuality and UFOs. There are lots of edit wars behind the scenes, many of which are a lot of fuss about absolutely nothing. It’s not that I’d suggest abandoning the use of Wikipedia, but a bit of caution and awareness in the reader of these potential flaws is required. And more so, it’s required by the many organisations, academics, journalists and services of all kind including Google itself that scrape or read Wikipedia unthinkingly assuming that it’s entirely correct. Were everyone to approach Wikipedia with a little more of a critical eye, eventually the market for paid editing would weaken or dissolve. Sadly, a “critical eye” is sadly lacking in most human endeavours. We are all to prone to accept reports at face value, especially if they reinforce our existing biases, or have some salacious or gossip-worthy attraction. It is the fundamental function of “PR” to distort the truth – or the perception – in favour of the client. There is nothing new in either search engine manipulation or its latest incarnation, Wikipedia distortion.